COMPANIES ARE WAGING A BATTLE WITH COMPLEXITY. With unprecedented fragmentation, unrelenting competitiveness and quick-to-market strategies every marketing dollar needs to work harder, work faster and return even more than ever before. "We need to reinvent the way we market to consumers. We need a new model. It does not exist. No one else has one yet. But we need to get going now." At Brave, we are a nimble, flexible, media agnostic, independent communications agency. Our philosophy:Be in love with the questions and the answers will follow. We don't have all the answers. No one does - but through rigorous data collected from our wide range of case studies and by focusing on ongoing, real-time listening, testing and continual refinement we can achieve the best results possible. Set and forget? Not in today's world. Meme today, gone tomorrow. How do we add value at Brave? The experienced carpenter will always 'measure twice - cut once'. As our work shows by doing the hard work up front, really understanding the market and the opportunity, we will discover insights that really resonate - simply thinking harder and smarter - we do a lot more with a lot less. We believe agencies, companies and brands need to talk less and listen more. Our aim is to move your brand from just talking, to being talked about. That's when the real added value kicks in. Being a boutique independent agency allow us to provide better value because we don't have to return profits to an overseas head office. We can be more cost effective by giving clients full access to highly skilled senior people who can make a real difference to their business. To be cost competitive we don't push you down to juniors. With Brave you are getting hands on experience with out paying for high overheads. Cookies and Cream. Fred and Ginger. Some things are just better together. At Brave, we feel this way about communications planning and creative development. Storytelling is as much to do with the medium as it is about the message itself. We offer a holistic solution to clients who believe, like us, that the development of an effective communications idea is the rich fusion of interdependent marketing disciplines. This is why we offer media and creative under one roof. One team. One vision. One fully crafted solution. every problem is a nail." At Brave we have a proven track record with expertise developed across a truly diverse skill set. This allows us to create smart, brave, bespoke, big ideas that help our clients navigate through the ever-changing mediascape. We have a long history and on-going commitment to pro bono accounts, community services, social change and searching for ideas that could one day alter the world. As a matter of course we commit 5% of our time to the things we do for love. "Ideas must work through the brains and arms of the good and brave, or they are no better than dreams." DINE A LOT. SAVE A LOT. "Over the last 25 years, we've made a big noise for some brave clients." A collection of interesting news, views and hot happenings that we've found recently from all around the web. Enjoy! CHO CHO SAN - CAN JAPAN GET ANY COOLER? ARE MARKETERS THE MOST INSPIRING BOSSES? WHERE TO TUCK IN BUT NOT FORK OUT? 5 BIG TRENDS AND WHERE ARE THEY NOW? WHICH MAJOR BRAND WILL DISAPPEAR NEXT? If you would like to find out more about Brave, please contact us. "Can you take Kia, which was considered at the time to be a 'cheap Korean' car and build it into a respected brand?" 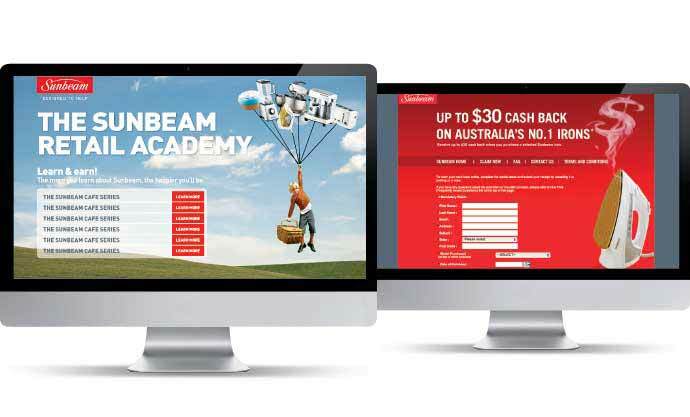 We stunned the market, when we won this $25M account in the face of fierce competition from the major multinationals and large local agencies in Australia and ran the account for over four successful years, growing sales annually. 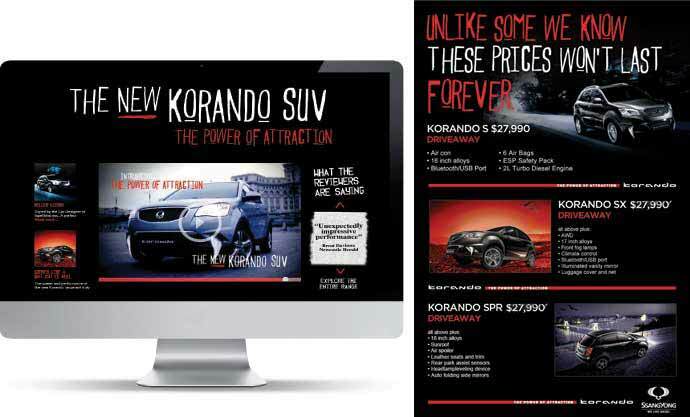 Managing all aspects of the brand's marketing from weekly retail to product launches to dealer material and events to all online activity, we helped turn the Kia brand into one of the top ten largest car brands in the country. 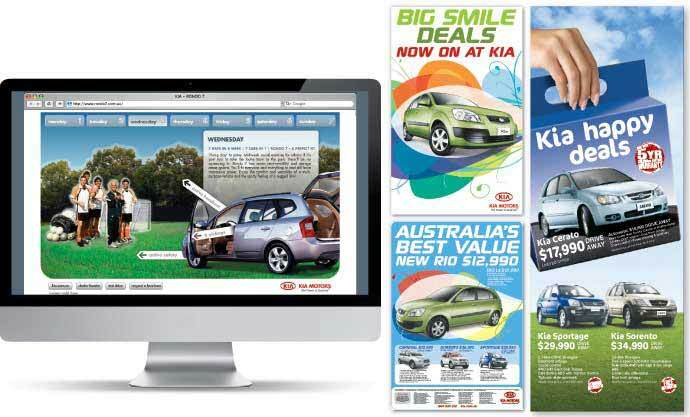 Of note was the launch campaign we developed for the new Cerato 'Something's going on at Kia'. 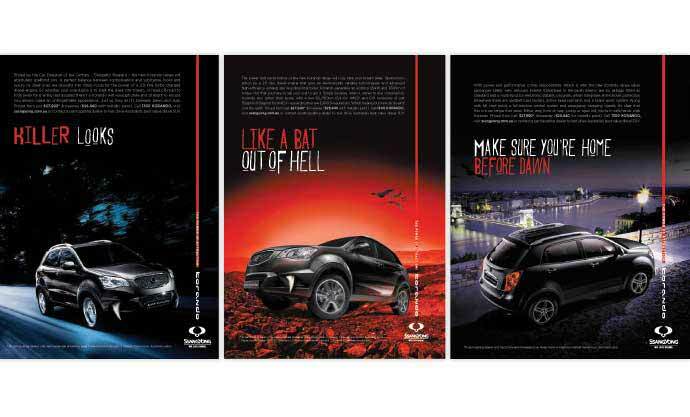 This was their most successful car launch in history, increasing sales by 55% and selling out of the Cerato every time they ran the campaign, was voted as one of the top 3 ads in the world by Best Ads and was subsequently used by Kia in other markets. "How do we differentiate ourselves? We fly the same planes as everyone else, we take them to a tropical island paradise like many others do. We're the national carrier of a proud nation and must act as ambassadors for our country." 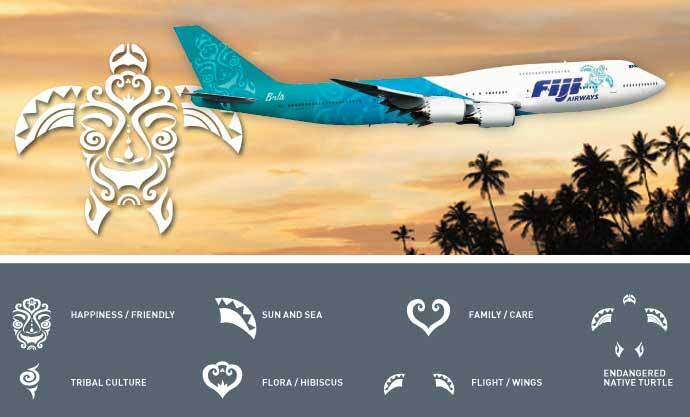 Finding that one solid truth about Fiji, led us to the truth about Air Pacific, the real difference is the people. They are innately friendly, happy people and Fiji has been voted time and again as the friendliest place on earth. They are naturally more friendly and helpful than anyone else, you feel that as soon as you're onboard. 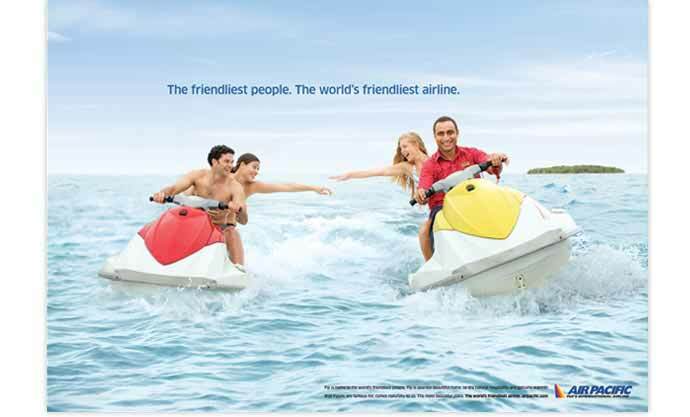 Naturally then Air Pacific is 'The World's Friendliest Airline'. Our audience is changing, no longer are we just for the ‘blue collar’ workers our core audience are now middle class with 2 cars and a McMansion in the west. We also need to bridge the gap between our print and digital offerings which can be consumed by the same audience at different times of the day. How do we position the DT to keep it relevant for our changing readers and bridge that gap? 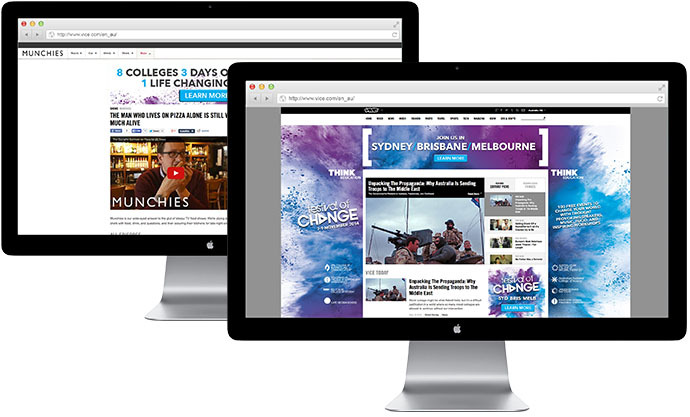 We developed this fully integrated re-launch campaign for the Daily Telegraph in record time. Blending online with offline seamlessly as readers would in their day, with the tag ‘in your world’. "Because we're the category leader, we'd like to differentiate ourselves from our very rational and product-focussed competitors. So we want a big brand idea - something really special, really memorable, really emotional. We don't have much budget (as usual) so what do you propose?" We turned an iconic song into a brand classic "You are my Sunbeam" and executed the campaign with seamless integration across all channels using our unique floating appliances device as a visual reference and differentiator. 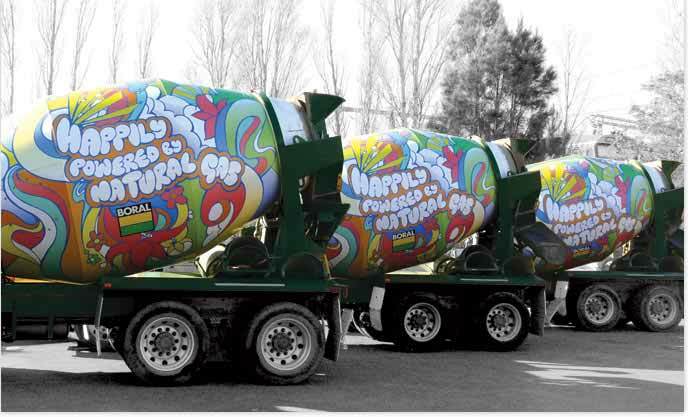 A memorable campaign that built new brand affinity whilst reinforcing the heritage. We need a dedicated campaign to relaunch The Weekend Australian to reinvigorate our weekend readership and we need to do it urgently. Managing large accounts requires strict processes at all levels, whether it's the weekly retail campaign or the launch of a new product, we use proven processes to ensure efficient, effective and timely delivery. 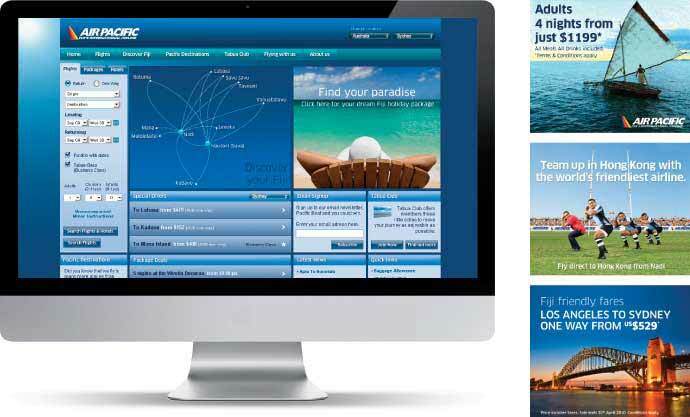 We developed this fully integrated relaunch campaign for the Weekend Australian within 72 hours of being briefed. "Erm, we normally spend our allocated budget running the Cricket Australia campaign here in NSW - with little or no effect on local club membership levels, which are suffering dramatic churn-out around age thirteen. Got any ideas on how to spend this tiny budget better and drive sign-up for both male and female local cricket players?" 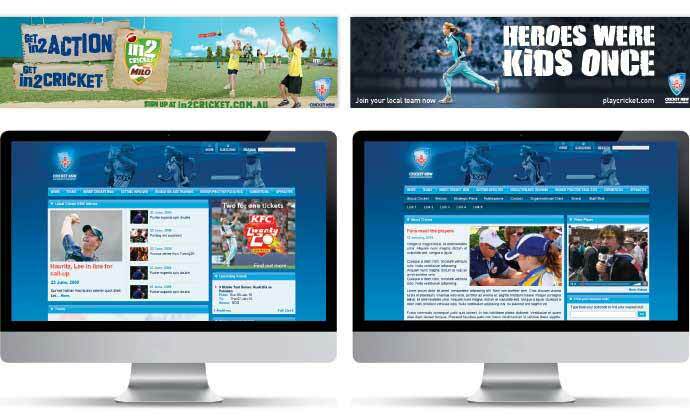 We purpose built an online extranet for all local clubs with specific campaign creative and collateral items which they could personalise with logo's dates, names etc, and download or print out for their own co-ordinated local area recruitment campaign. Turning each volunteer club into a professional marketing team. 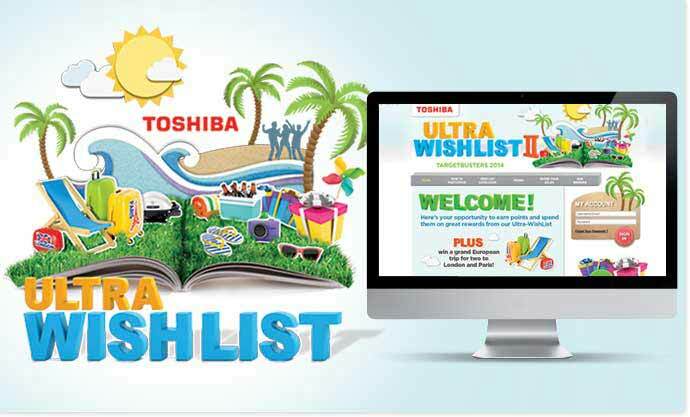 Toshiba Ultrabook Sales Incentive Program. 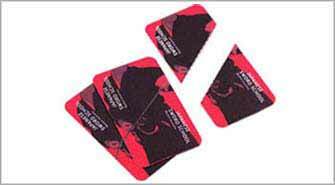 Incentive programs designed to educate and motivate sale staff with promotions that drive more sales. PCYC need funds to keep there community centres going. Every year we run the Time4 Kids Campaign, this year our campaign needs to work even harder to get in much needed funds. We need to create a real breakthough CSA that will activate community support. As well as the 'thinking' and 'doing' we make our living by, we also regularly do things for love to help deserving charities and causes. Here's an award-winning spot we recently produced pro bono for the PCYC to raise awareness and funds for National Youth Week by putting a pair of famous sportsmen behind bars. "Despite the fact we're a government run department in NSW, Landcare Australia largely survives on volunteer help from the general public. So we don't need hand outs, we need helping hands. Can you quickly produce a quality sixty-second TV, radio and print campaign for us to run nationally? By the way, did we mention that we're a charity?" 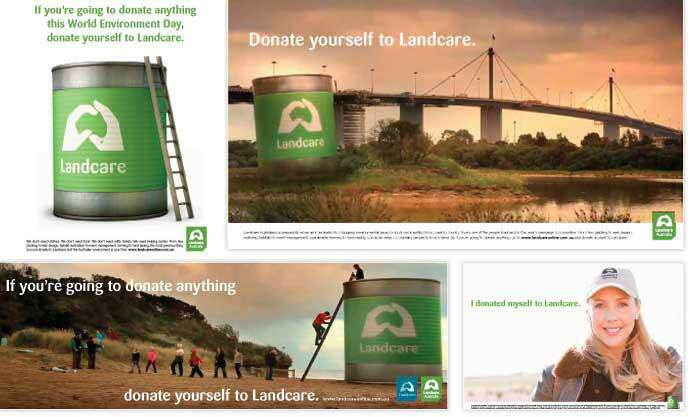 We created a multimedia launch campaign for new donations for Landcare Australia, whilst educating consumers on the role of the body, through a new CSA TVC. 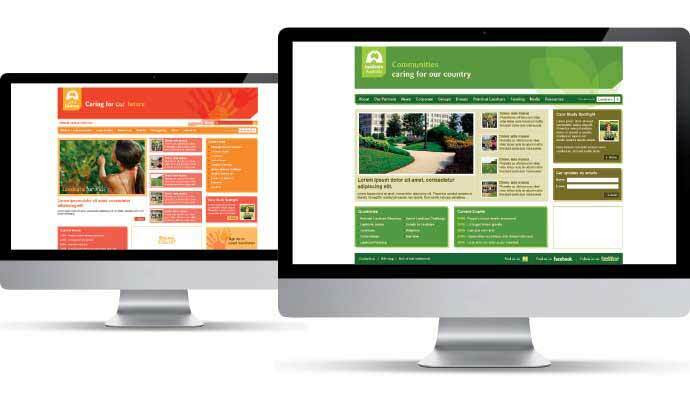 Online this involved migrating large files of existing content and integrating back-end systems into the new sites, and liaising with many key stakeholders including Landcare Victoria, federal and state governments, local communities and corporate sponsors. 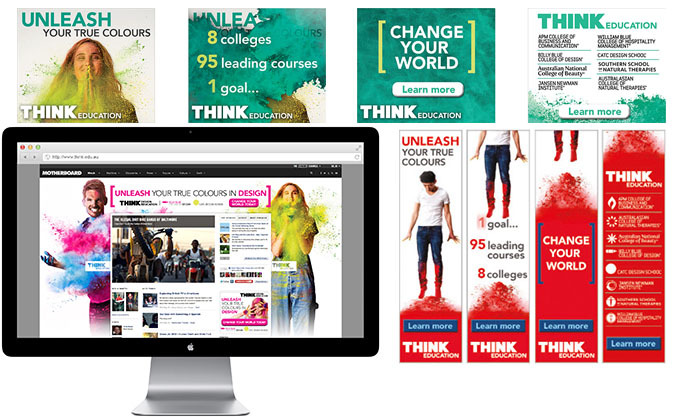 How do you take 8 different College brands with courses as diverse as Beautician Certificates to Marketing Degrees and students from school leavers to career enhancers to mature age students and bring them together under one united new brand with a single minded purpose? Develop a creative platform which can build this brand over time with a consistent look and feel which can work as effectively at the brand level as it can at the acquisition and retail level. 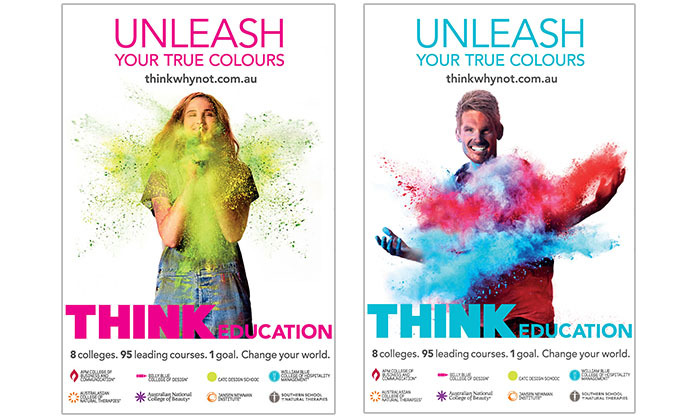 We developed a single minded core proposition for THINK which was about “empowering change”. This resonated strongly both internally and externally throughout all the colleges. 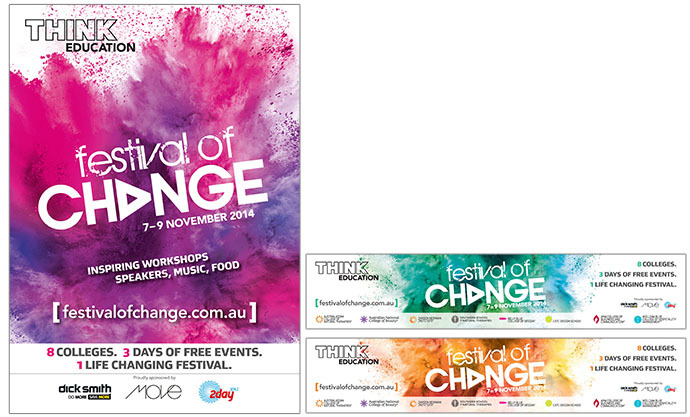 We also developed The Festival of Change as a demonstrative launch event to establish THINK as a leader in empowering change in the world. The Festival ran over 3 cities for 4 days and had over 100 events. The Results: Brand Search was up 181% and leads up 52% Y.O.Y. Brandvideo was watched by 1.8 million People in 5 days. "Hi Guys. At WIP yesterday, it slipped my mind to tell you that one of our clients took the CEO to one side yesterday and said they were inundated and confused about what products they should use and who is better than the rest. They look to us to cut through all the spin and red tape and advise them on the best solution for their needs. We provide them with the right choice. 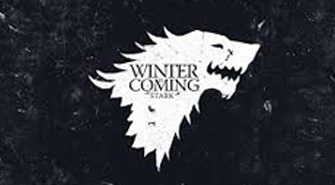 We need a campaign that tells all our clients that by the middle of next week. As usual the budget's tight." With a limited amount of time and budget, we developed a suite of short, sharp and very creative TV ads, which used animation to dramatise the fear and confusion that consumers have regarding mortgages and the multitude of choices available. In this way we demonstrated that Mortgage choice understands the dilemma clients are in and that Mortgage Choice are there to help everybody find the choice that's absolutely perfect for them. "Hi. We're Boral and for almost 100 years we've been an old-fashioned, stodgy building products company. We're bored with that now and want too be seen as a modern contemporary consumer focused brand? We'd like to present the new direction at our AGM. Which is in a week." 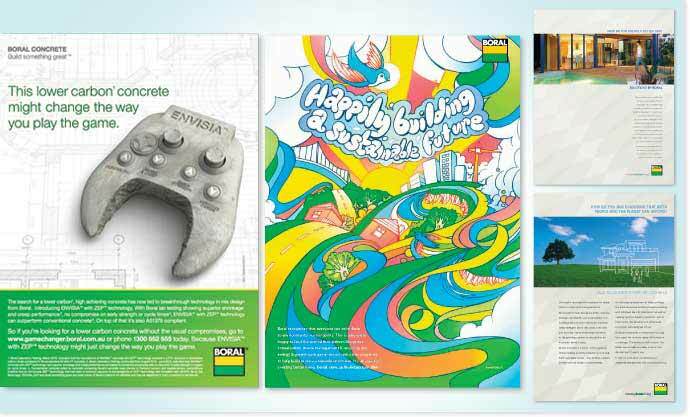 Using real examples of how Boral's innovations and inventiveness was creating a better quality of life for all Australians, we developed a multi-media campaign using the proposition of 'Creating Better Living'. 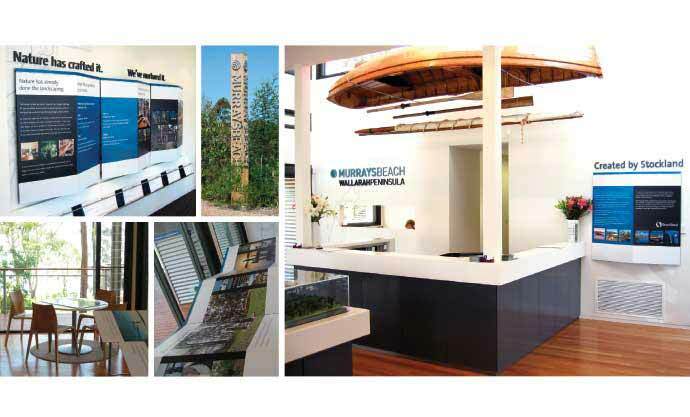 Each innovation used highlighted how contemporary Boral actually is as a company and demonstrated how much they were doing as an organisation to reducing their impact on the environment. "We'd like you to launch our new European designed Diesel SUV into one of the most cluttered automotive markets in the world with an annual budget equal to that of what our competitors spend in a month. Any questions?" Over 10,000 entrants into the 'What you looking at' teaser phase - each receiving online invitations to download a brochure and/or book a test drive - over 120,000 unique impressions on the Ssangyong website, over 400 test drives booked during first 30 days of campaign (up from an average 20 a month). 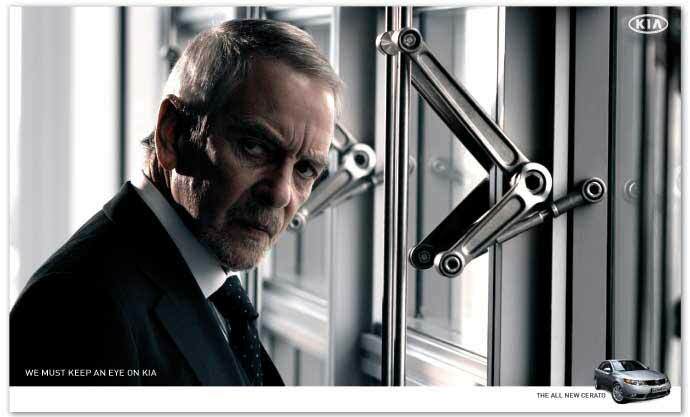 The campaign also won the coveted Global Dealer Marketing Award for 2010/11. "Everyone loves bowling - just ask them. Then ask them the last time they went and they'll scratch their heads and tell you they don't remember. That's our problem - generally people and family groups don't think about going bowling unless it's pouring down with rain. And the country is currently in drought. By the way, our budget is three fifths of five eights of not very much at all. What can you do?" 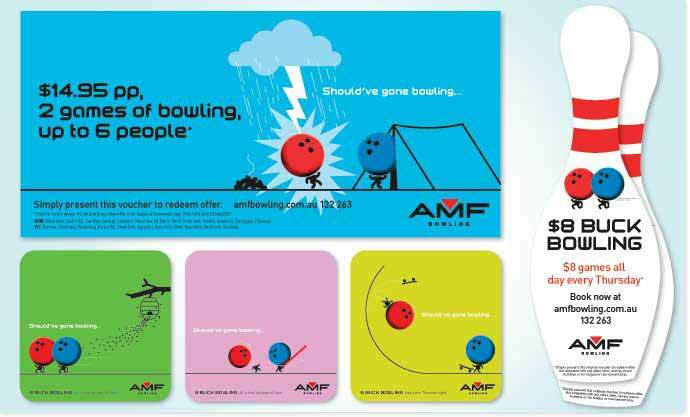 A short, sharp integrated campaign using cinema, outdoor and local media around bowling centres that wittily highlighted some of the things that could happen to you if you went to the movies, beach or other entertainment venue, rather than going bowling at AMF. How can we really demonstrate our brand proposition and launch two new campuses at the same time. How can we truly inspire people to bring about change in their lives and show a leadership role in the educate revolution. 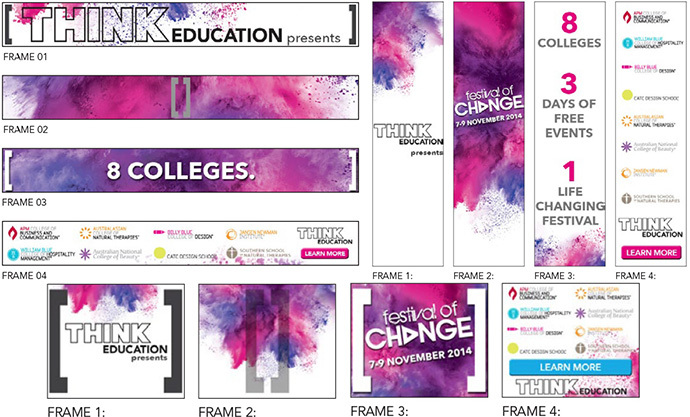 As an embodiment of the brand proposition of "empowering change" we developed the Festival of Change. An event to celebrate change and encourage people to bring about change in their world or the world around them through education. A huge Festival in Sydney, Melbourne and Brisbane with over 10,000 registered attendees with key note speakers in 100’s of events throughout the 3 days. 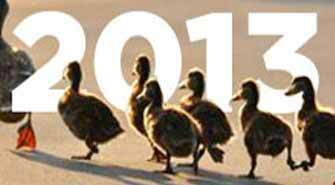 This inaugural event will build year on year to be a cornerstone to THINK’s brand activity. "We are a growing challenger brand in the Australian market so we need work hard to build our brand whilst also driving enquiry and acquisition for our QuickBooks Online product, on an ongoing basis. We also need to have engaging and relevant messaging for the multitude of customer types that use QBO." Brave developed a dynamic creative retargeting banner campaign in HTML5, with multiple customer based messaging - combined with multiple calls to action for each message. 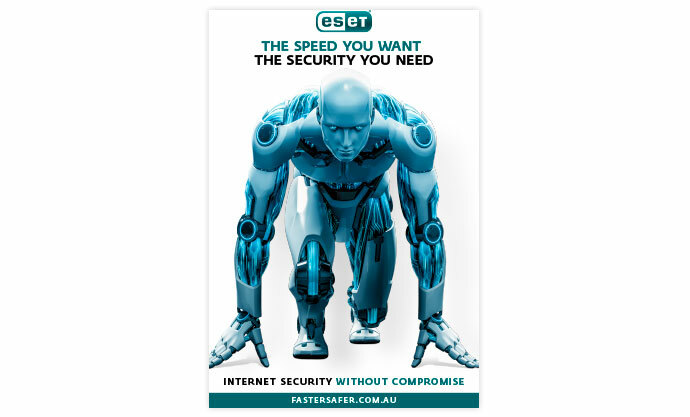 "Launching a brand which is market leader in Europe ESET has a strong product but is unknown in Australia has its challenges. We are competing with well established, entrenched competitors so we really need to make a strong brand launch statement that we are here and we are worth considering." 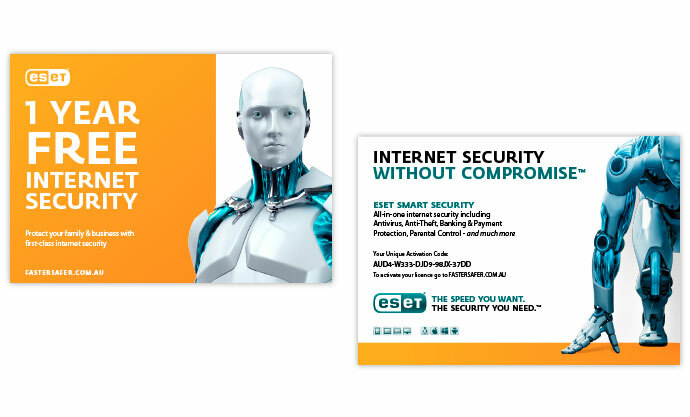 Using ESET's product superiority and using the very striking visual of the ESET robot, speaks volumes and immediately says "stronger" and "safer" to the market backed up with a dedicated launch microsite, free trial campaign and online campaign really established ESET as a major player here to stay. 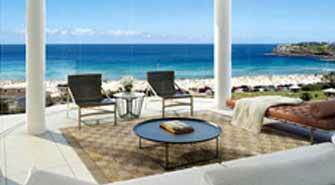 "We have 15 different developments all over the country selling to many varied target markets. Each one needs it's own identity, but they must all be part of the Stockland brand. While we're doing that, we also need to drive increasing numbers of enquiries into each development every week. And we need it done yesterday. How's that for Brave?" 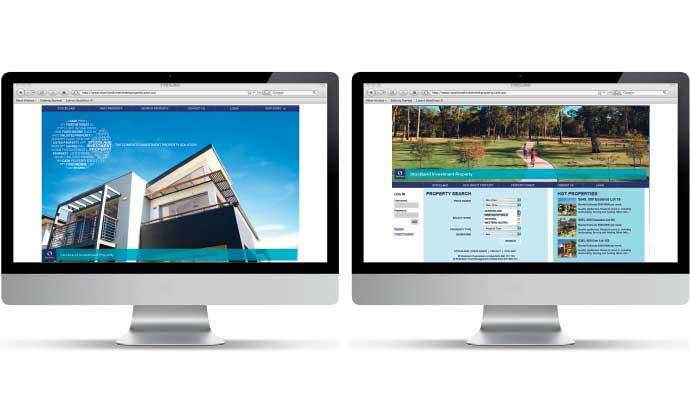 After an intensive brand interrogation and audit, we developed a distinctive style for the overall Stockland Residential brand and co-joined it with retail activity which ensured consistency of the parent brand but allowed flexibility for each development to have it's own message and identity. In a matter of weeks, we then created 15 different retail campaigns and local area marketing campaigns for each of the developments. These were delivered into each key market with key metrics and ROI measured weekly and tweaked to improve performance on an ongoing basis.Needless to say, it was a resounding success, with all developments reporting increased traffic and sales. 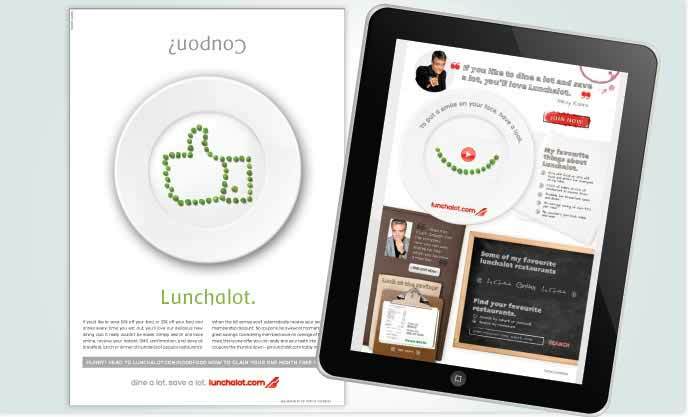 "We need to develop a brand and acquisition campaign to launch Lunchalot into this crowded market where consumers are already jaded by shady coupons and restaurant deals. How do you differentiate yet another "deals" company in a cluttered and mature market?" 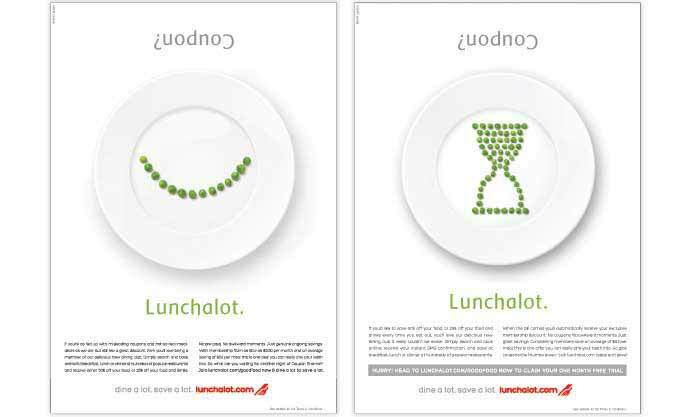 Brave developed a simple visual proposition using a dinner plate with competitors' graphically positioned at the opposite end to Lunchalot demonstrating the key differences of the Lunchalot offer in a relevant and engaging campaign. 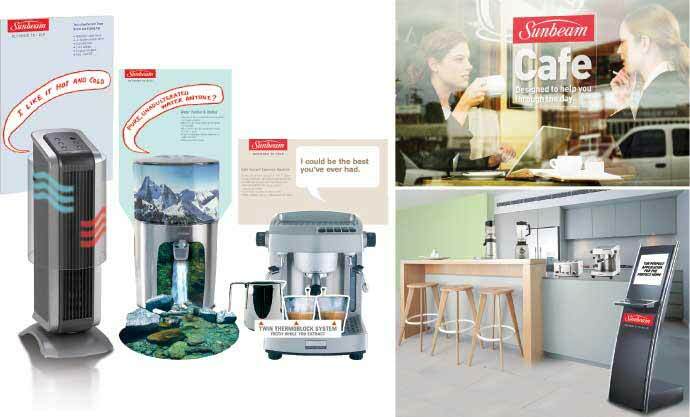 The device provides never-ending brand messaging and acquisition opportunities as well as creating a distinctive look for this new dining club. "Owned by Mounties Group, Harbord Diggers has been declined twice by the local council for redevelopment plans. The Club is not sustainable in its current form and must get a diversified plan approved by council if it is to continue. 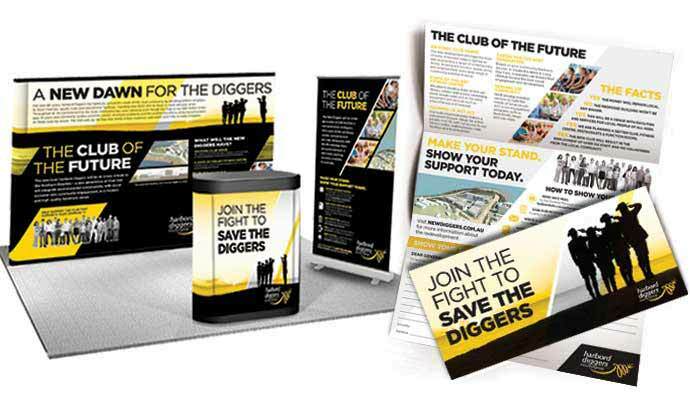 The brief to Brave was to develop a grass roots 'hearts and minds' campaign to turn passive local community support for the Diggers into vocal active support." 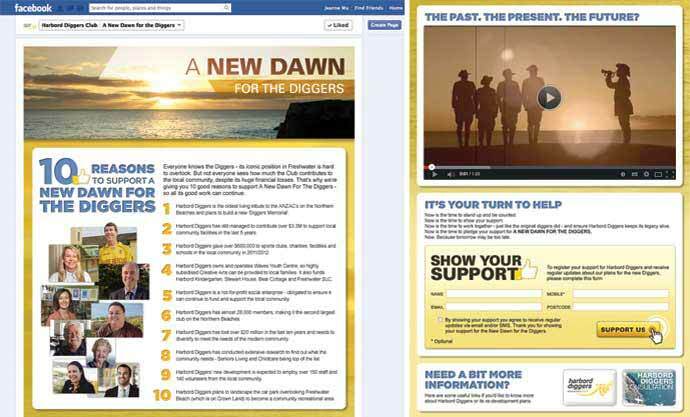 Brave have developed an integrated social change campaign 'The New Dawn for the Diggers', which leverages off the 'Diggers' origins of this iconic club and the massive social and monetary community benefits it provides. 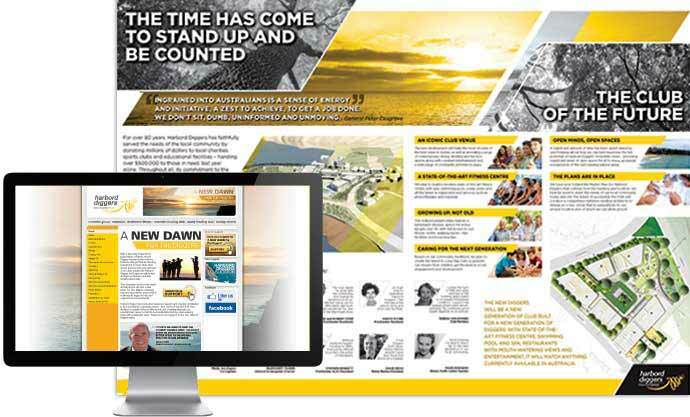 The campaign engages with the local community with clear information presented in an engaging 'New Dawn' message. 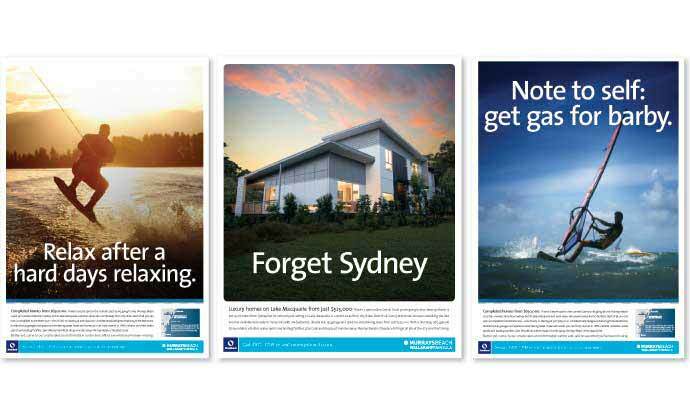 The local area marketing campaign for the Northern Beaches includes cinema, press, DM, social media and online. 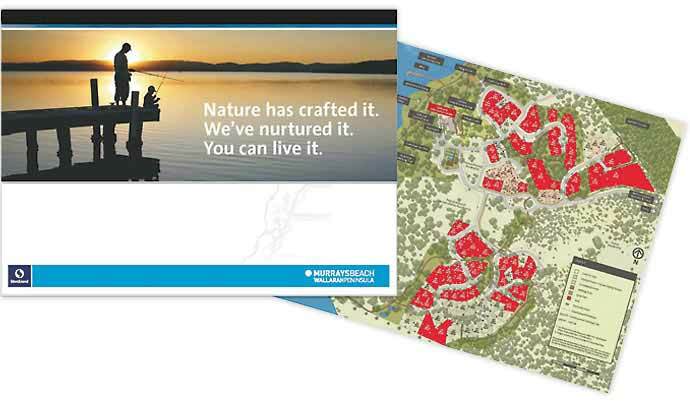 Integrated with an active lobbying campaign targeting the local councillors and key influencers. 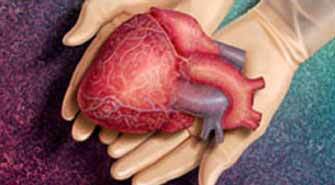 A pop up fashion boutique in South Africa is asking its customers to pay with their vital organs instead of money. The retail experience in Cape Town lets customers take home clothes and handbags as long as they sign up to a organ donor list. Created by digital agency Native, The Exchange was designed to encourage more people to sign up with the Organ Donor Foundation of South Africa. 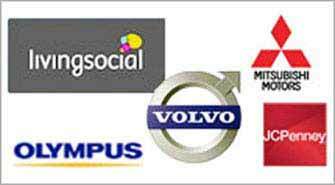 The 2014 Death Watch list: Living Social, Mitsubishi, Volvo, Olympus, J.C. Penney. A fatal elixir of bad sales, ominous company news, declining market share and other criteria has landed J.C. Penney on the top of 24/7 Wall Street's list of brands that might not make it beyond 2014. Martha Stewart Living and Road & Track magazines, Mitsubishi Motors and Volvo, Olympus, LivingSocial, Leap Wireless, Barnes & Noble's Nook and the WNBA are also predicted to fail. 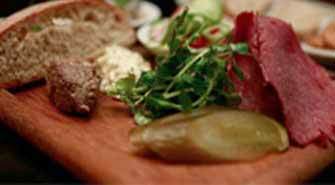 As a treat for Sydney-siders this winter, indulge in the delicious yet affordable dishes at The Larder. 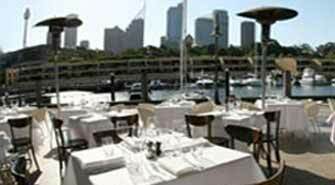 Bustling with history, the Wharf encompasses the charm and style of Sydney, with views to match. Located inside the prestigious Otto Ristorante, youâ€™ll be spoilt by an ever-changing menu from Otto's head chef, Richard Ptacnik. Some cutting-edge branding for the Japanese Sword School. Check out his inventive approach. 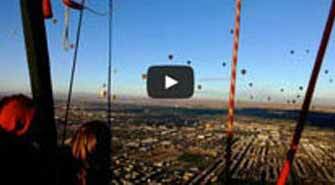 Check out the Google glasses viral ad - expect to see a lot more POV youtube videos like this - 20 million hits since February this year. 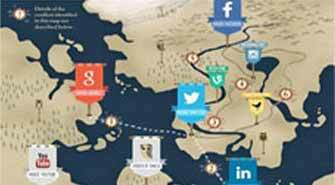 Social media management system HootSuite has taken the various social media platforms and reimagined them as warring 'Game of Thrones' houses. Designed in the form of an infographic, it shows the "tense relationship" between the houses and how the social media wars have affected the different realms. 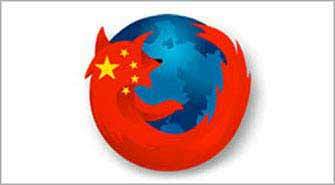 China leads internet growth, mobile growth and brand value growth, India is second. Indonesia is third. Australia is on the doorstep of this next wave of global growth. How about we stop relying on selling what we can dig up out of the ground and be a driving force for facilitating these behemoths become first world economies? 500 million photos are uploaded every day. 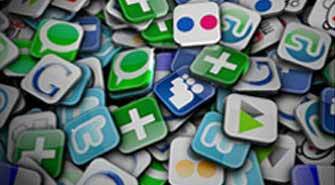 Sharing of digital information has grown 9 times in five years. And China is leading the digital charge. Today, about two out of every five minutes of digital content consumption occurs on smart phones & tablets. Consumers are using multiple touchpoints to access digital content, creating a challenge for businesses to understand their own customers' behaviours. In this presentation, comScore VP of Digital Analytix Jodi McDermott shows key trends in multi-device content consumption. 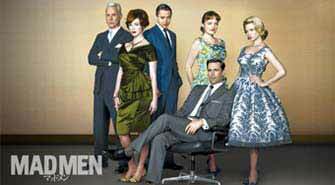 "Mad Men" is a prestigious television show with devoted fans who fit into a desirable demographic, and so its broadcaster, AMC, likely has little trouble selling the advertising spots. One can even imagine meetings in which men and women talk breathlessly about the opportunities for "synergy" in advertising for a hip and intensely fashionable show that is itself about advertising. 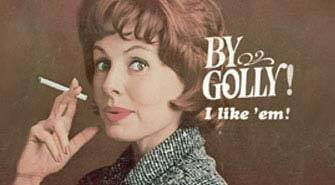 And yet, there is a built-in challenge to placing commercials adjacent to the fictional ad world of Sterling Cooper. What digital camera company would have wanted to come blaring into the gaps in the action after Don Draper had just defined nostalgia and conjured the Kodak Carousel? What is a social product? In this article you'll find a clear definition of the often confusing and misused definitions for the terms social, social media, viral and community. Take a look at these five well-known trends: where they are now, where they are headed, and the many opportunities they continue to offer. 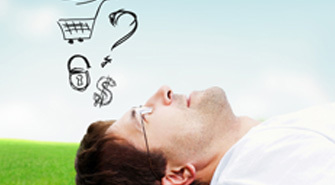 SELLSUMERS: Will there be any consumers left NOT making some money on the side? 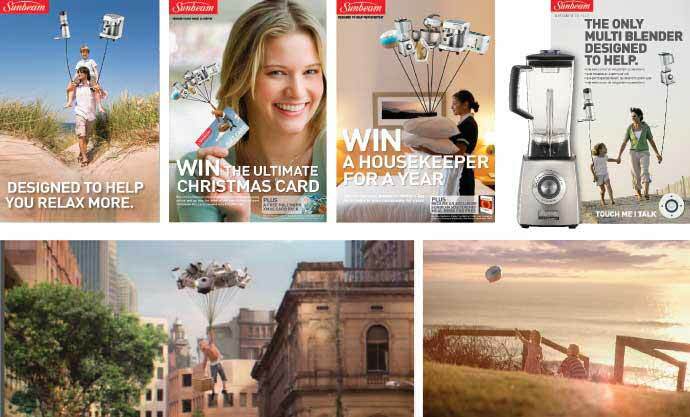 MATURIALISM: It's a raw, transparent, mature world out there - time for brands to grow up or give up. POINT & KNOW: Get ready for a POST-POINT & KNOW future. ECO-SUPERIOR: Why even 'carbon-neutral' won't cut it. MADE FOR BRIC: And now let's get busy with MADE FOR N11. If Brown Sugar rings a bell - and with that bell comes salivation - then listen up. The brother sister duo behind Bondi's famed brekkie haunt have opened their second digs just around the corner. With a name that's hard to remember, and hard to forget,LOX, STOCK and BARREL is a New York inspired deli/diner ready to please the cab loving masses with bagels, bagels and more bagels. 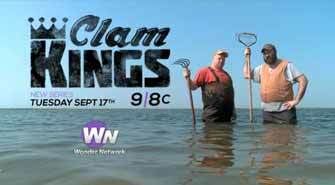 New York public broadcaster WNET has launched a series of spoof TV commercials poking fun at the glut of reality TV in the country. The TVCs follow an out-of-home campaign featuring promos for shows like The Dillionaire ('Life's a pickle'), Knitting Wars ('It's sew on'), Married to a Mime ('She's got plenty to say') and Bayou Eskimos ('Their life is headed south'). But seriously, what do you really think? 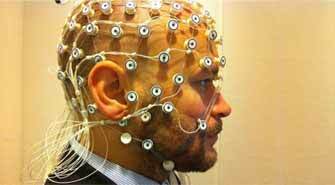 Is neuromarketing the holy grail of consumer behaviour research? - Maybe not...yet. It's always a worry that you'll tweet from the company account and realise you've spelt something wrong or left a word out. 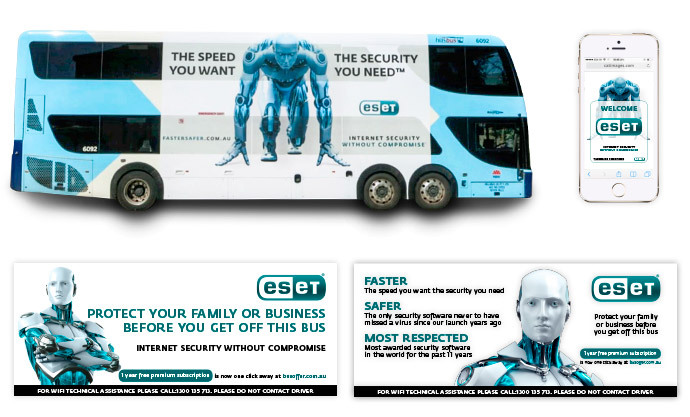 But what happens to those unfortunate companies who have their accounts hacked - often with disastrous outcomes? 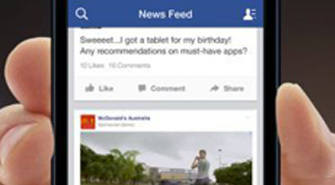 Find out how McDonalds, PayPal, Jeep and other big brands dealt with the issue. No, Mr Murdoc hasn't porked up. 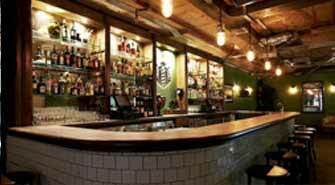 Fat Rupert is the newest bar to hit the Bondi scene. Named after the owner's rotund cocker spaniel, you'll find vintage style, seasonal share-plates and boutique beer and wines. Try "The Grand Rhupy" with vodka, Grand Marnier and rhubarb chutney. 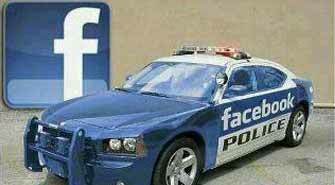 What happens when brands break Facebook law? Pages can be shut down. we know, but it is a possibility and potentially a huge hassle. 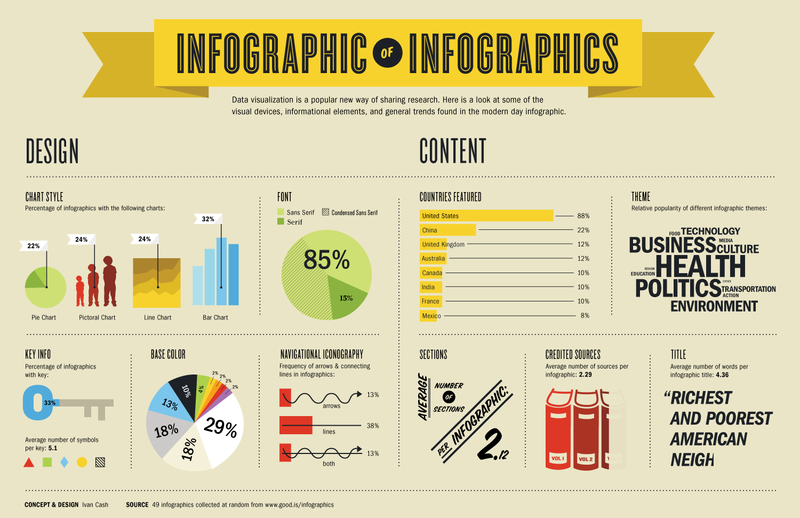 Infographics are 7 times more likely to be shared via social media than articles. How connected is too connected? Steven Burda has 50,000 direct connections and 3,000+ recommendations. On the top of this his long profile boasts: "I'm Steven Burda & I move mountains. 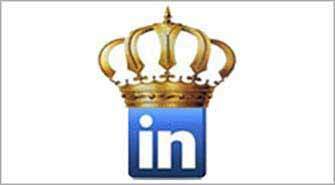 The Most Connected Person on Linkedin. One day I'll take over the world. Nothing's impossible for me." If you ever wanted proof that we ain't in Kansas anymore - for the first time ever in Australia online spend overtook free-to-air TV spend in first half of 2013. Mobile advertising was the star performer as advertisers move their budgets to match consumer behaviour. 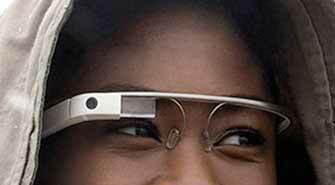 Google Glass is going to charge advertisers based on what content has been looked at. 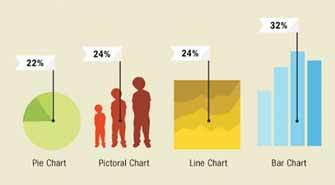 Dubbed as 'pay-per-gaze', it measures the direction of your pupils and the duration you focus on the ad. It is rumoured that the next development will focus on the emotional response by measuring the pupil-dilation of the user. 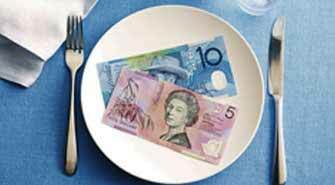 While we mourn the death of fine-dining, Sydneysiders have cheerfully adopted to the cheap-and-cheerful-dining without too much of a fuss. We know that not everyone's willing to embrace the spontaneity of eating next to a food-truck or queue for their food outside popular establishments like Mamak and Gelato Messina. This list of crowd-pleasers will ensure that neither your belly nor your wallet will go empty. If you haven't already joined the Pinterest movement, it's not too late. We take a closer look at this fast-growing social media channel that claims to be 'made for marketing'. 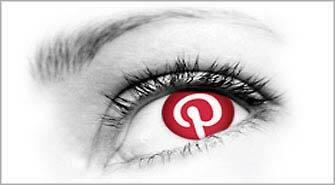 New insights in the marketing potential of Pinterest should not be overlooked. Inspirational leadership is in short supply across the workforce. In a British survey asking employees to rate their bosses, only 7% of respondents find their bosses 'extremely inspiring'. And those employed in the media, marketing, advertising and public relations sectors are most likely to rate their bosses as inspiring. Here's a counter-survey for bosses to find out if their leadership abilities measure up. The 80 years of ads featured in The New Yorker offer a revealing glimpse of the cultural idiosyncrasies of the past and the evolving perspectives of the magazine's readers. 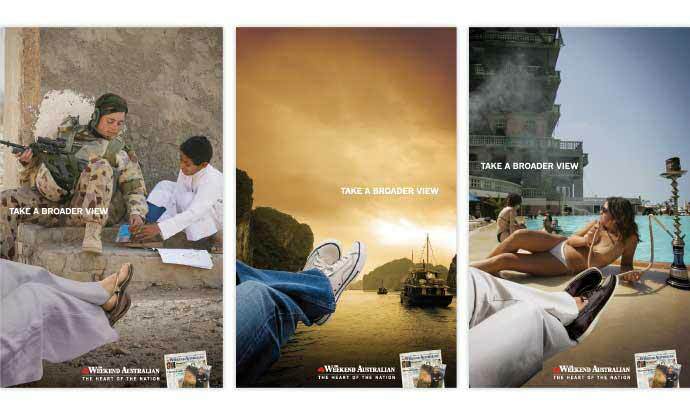 While we chuckle at the sexist stereotypes or the outlandish aspirations portrayed in these ads, they also highlight the positive social evolution of our civilisation. The invention of anesthesia made the doctor's job easier and was caught on overnight, while the idea of using antiseptic took decades to spread because it made surgery harder. When we're challenging behavioral norms, it requires not just inherent value, but the natural osmosis from interacting with people over time. 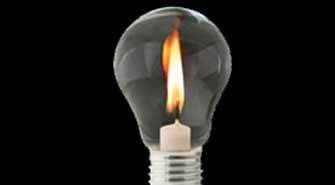 Some ideas just need more love than others - even in this effortless online-sharing era. Video killed the radio star. The downfall of this market leader paints a sobering picture of how innovation and consumer insight remain the critical key to the success of a brand. This detailed recount of BlackBerry's fight to regain its market is a warning for companies to never undervalue the importance of innovation. 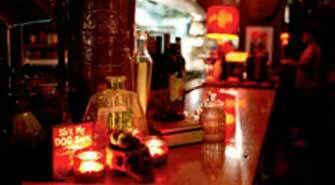 Ask not what your bar can do for you, ask what else your bar can do for you. Fellas, if you're looking for a shave and haircut with your beer, stride in, take a seat in one of the old school barber chairs and be indulged. 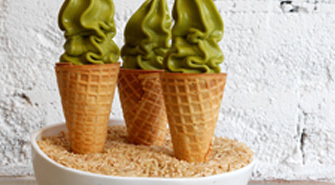 This little gem on York Street will redefine your meaning of feeling refreshed. 5 STEPS FOR CREATING A SUCCESSFUL BLOG. 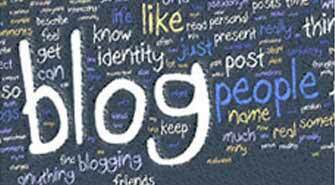 It sound simple but its amazing how many people get it wrong – the secrete to a successful blog? Write one that people actually want to read. This article will help you create a content marketing strategy for your blog that ensures that you will reach your goals. What could be better snooping and shopping at the same time in the uber slick penthouse suite of the new Pacific Bondi Beach apartments. Bill Tikos of mega hip culture blog The Cool Hunter - the one that’s let you peruse the interiors of so many other magnificent buildings around the world - will be tastefully stuffing this ultra cool pad with stuff you can buy from worlds of fashion, music, design & entertainment. The need for businesses and individuals to measure their activity on social media is constantly growing as the industry is becoming more mature. This measure-ment can be split into two types of data: the much buzzed-about big data as well as the relatively invisible small data. Find out what you most likely aren’t doing. While everyone is talking about the growth of social media and all it has to offer let’s not forget about the importance of email. Email marketing remains as one of the top channel for delivering marketing messages. 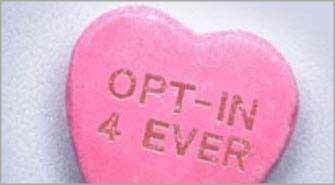 Research shows that “77% of consumers prefer to receive permission-based marketing communications through email.” Here are 3 examples that creatively pushes your online customers to opt-in. Ananas is Sydney’s complete bar & dining destination, bringing a taste of contem-porary French Mediterranean to Sydney’s Rocks district. Housed within one of Sydney’s landmark historic buildings, Amanas is both sassy and savant grade with fun 1920’s inspired décor. The bar offers a hand-picked selection of Champagnes, signature cocktails and an impressive selection of local and French wines (some exclusive to Australia) complete the comprehensive drinks list. The brasserie serves produce-centric food, cooked with traditional French methods but featuring global cues and accessible prices. 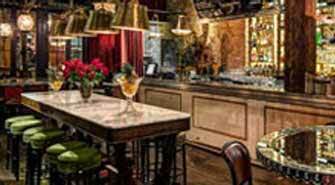 A dedicated Oyster Bar is a highlight treating patrons to shucked-to-order oysters and a daily plateau fruits de mer. As 2013 comes to an end with the benefit of hind sight we can see how many of these predicted major trends have been in fact major? Have we kept up with the opportunities and risks that face marketers today in this fast-paced, ever changing communication environment? 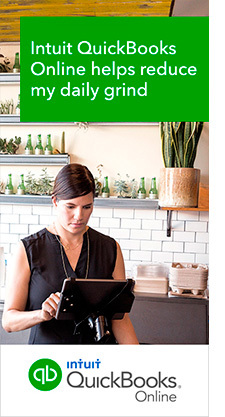 So far, the long-promised digital wallet has lagged behind expectations. Google Wallet, Square, Apple, and others have introduced electronic payment, So loyalty, and couponing systems, but there’s no single solution that works everywhere and all of the time. 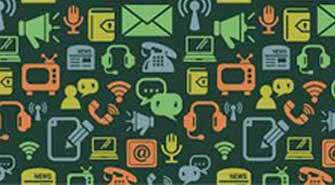 The buzz over big data has been nothing short of deafening. It has beckoned with the promise of delivering a better understanding of customers and the overall business. Many marketers have turned to social media to promote their brands and dive into reputation management, so now the area is evolving rapidly. The post-PC era has arrived. Any major organization that isn’t investing heavily in mobile tools and strategies is DOA. The intersection of location awareness, social media, and mobility is finally delivering the ability to target customers with incentives and coupons at the point of decision-making. In recent years, the sheer number of marketing channels and options has overwhelmed more than a few Comes. Marketers have used QR codes across a wide swath of industries over the past few years. Unfortunately, many organizations haven’t tapped into the tool's full potential. 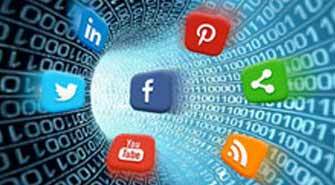 been around for years – and many organizations use it and similar tools to track online postings – many organizations lag far behind. 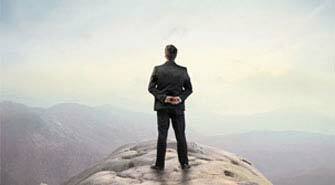 The rise of green and sustainable business practices has sent a tsunami through the enterprise. The most successful organizations recognize the need to be highly agile and flexible. The problem is that simply decreeing a need to be innovative or assigning employees to address the task doesn’t necessarily produce results. Consequently, some organizations are revamping conventional marketing practices and allowing small and ad-hoc teams to compete for new projects or initiatives that are on the leading edge of conventional and digital marketing. 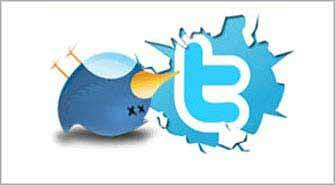 The ability to measure every click, tweet, and page view is both a blessing and curse. On one hand, there’s a wealth of potentially valuable information that can transform an enterprise. 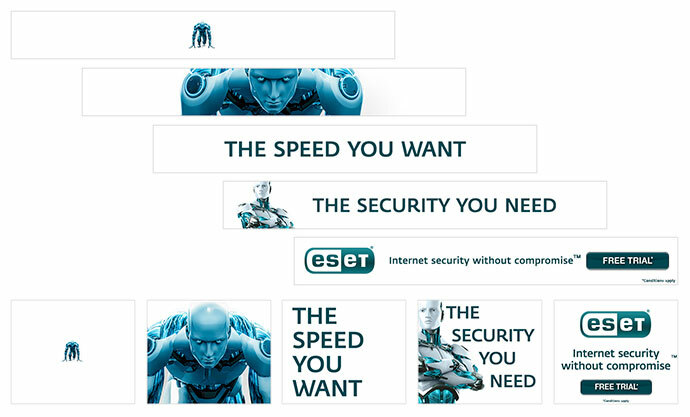 When the Internet burst on the scene in the mid-1990s, some observers predicted it would greatly diminish the demand for content, particularly the written word. That prediction now ranks right up there with flying cars and robot assistants. In reality, the emergence of a truly digital business environment has fuelled huge demand for content – blogs, videos, interactive tutorials, white papers, social media content, and much more. The Greek-Chinese-Australian answer to Japanese cooking? A fabulous ride all the way, from J-pop fried chicken to sashimi to spanner crab buns. All in a bright, white, light space-odyssey room. The Good Food Guide 2015 review said: "The team behind Potts Point’s neo-Greco Apollo has ventured just a block down Macleay Street, but its second collaborative effort couldn’t be further removed. This new-day, modern Japanese izakaya serves up intelligent, easy, drinking food at a handsome, stool-lined concrete bar in a luminous, long, skinny space. A raw bar sends out a shimmering oceanic wave of ocean trout dressed with soy, mirin and wasabi, while meaty cubes of raw tuna team with avocado and pickled eggplant in a silky slippery-dip." A Sydney Christmas is like no other in the world, with its sun-drenched summer days and balmy nights, uniquely Aussie festivities, and tradition with a twist. This year interact with festive Christmas decorations in different fun ways. Jump on the interactive dance pad at the Martin Place Christmas Tree, or text us your message and make it appear on the tree’s branches for everyone to see. 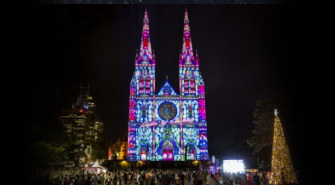 Use a new smartphone app to change the colours of our Christmas Light Forest in Pitt Street Mall, and share your celebrations online with our hashtag #sydxmas. Content and marketing are going to play crucial roles in the survival of this upcoming competitive SVOD landscape. The bigger, smarter marketer may win over content rights. How the combatants are aligning. “This emerging battle has produced some serious media posturing from various parties in the last year, as almost every major media player moved to find a partner or ally.” Scott Lorson, Fetch. 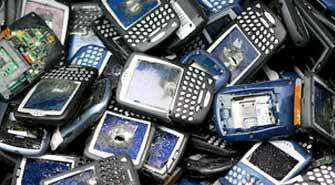 The triple Play Telco war has started so..
Who will survive and what happens next? It is hard to know who will win the SVOD/ triple Telco deal war but the best content and most effective marketing will effectively determine who will be left standing after the SVOD battle. 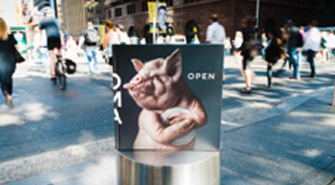 A lot of the conversations we have today are hinging around digital and programmatic buying, big data and social interaction, but the basis of a great outdoor campaign is great copywriting and great art direction. If you haven't got it right at the base level, you're not going to have a successful campaign. 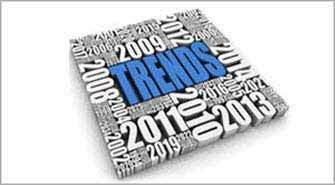 2015 is almost upon us; trend predictions will see industries worldwide need to shift marketing budgets and strategies to stay in the game. 20 digital marketing experts were interviewed by Forbes Magazine on their thoughts for 2015 and the 6 common predictions emerged. Relevant content is no new thing but in 2015 helpful content will grow with a focus on transparency as people fight for free visibility on Google. Right content format for the right channels will be vital and 2015 will see tracking get closer to how we earn each customer from top of the conversion funnel to the bottom through evaluating all marketing channels. ‘Mobile First’ will continue to influence all marketing sectors - the increase of cross-device attribution, which runs on people-based, data driven attribution (Facebook and Google Adometry) will see a drop in the reliance on click based/ cookie tracking. All design, advertising and social media will focus on driving increased measurable results through cutting edge tracking and predictive analytics – who, what and where. Google plus is a dying platform with media experts claiming a 50% chance of the platform dying out in 2015. What this means for advertisers? Expect organic reach to decline even further but in a chance to increase advertising opportunities Facebook has rolled out an ad preference tools, allowing users to manually curate the types of ads they want to be served.